Today’s story is the answer to the November 2018 puzzler. 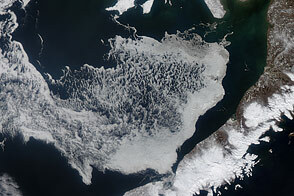 Sea ice commonly clings to the Anzhu Islands, a subgroup of the North Siberian Islands in the Arctic Ocean. But the appearance of this ice can change on a daily basis, altered by currents, winds, and seasonal cycles of freezing and melting. 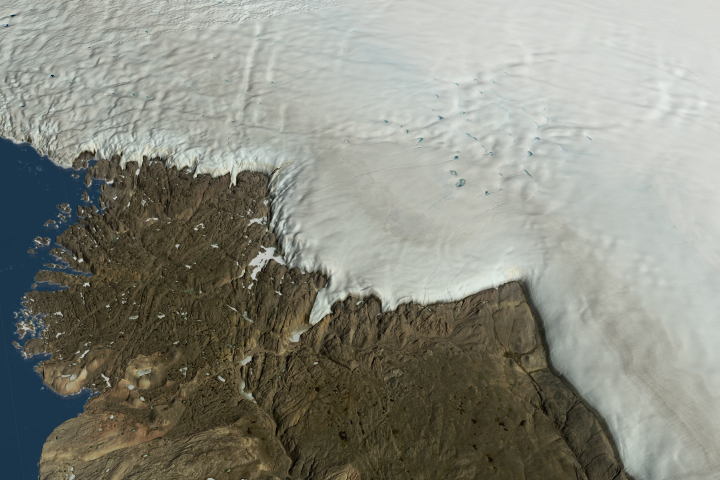 These images, acquired with the Operational Land Imager on Landsat 8, show the Anzhu icescape during the summer melt season. 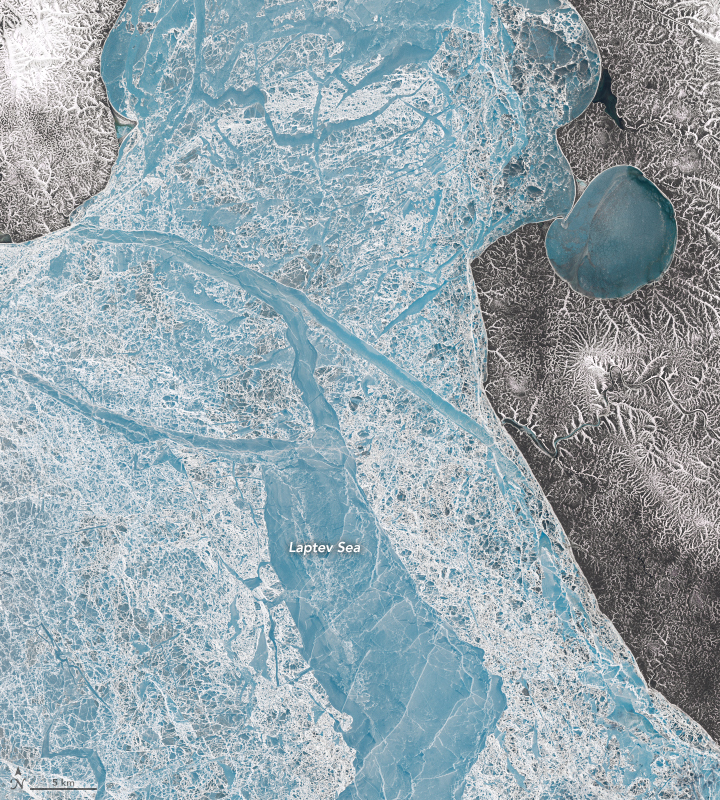 The image above shows the frozen Laptev Sea just west of Kotelny Island on June 8, 2016. 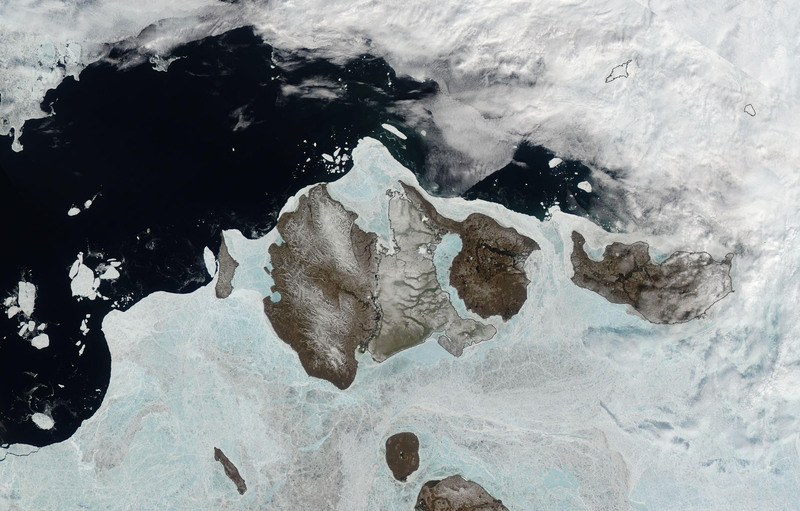 Only a small amount of snow remains on the sea ice and land surface. There is a bit more snow in the image below, which shows the frozen East Siberian Sea between Faddeyevsky and Bunge islands on June 27, 2018. 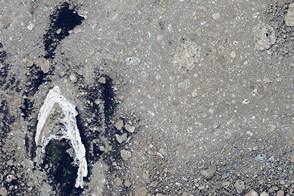 The lines in the ice could be pressure ridges—areas where separate packs of ice have collided and piled up on each other. The waters shown in these images are relatively shallow and contain ice for most of the year. Rapid break-up is usually apparent starting in June. 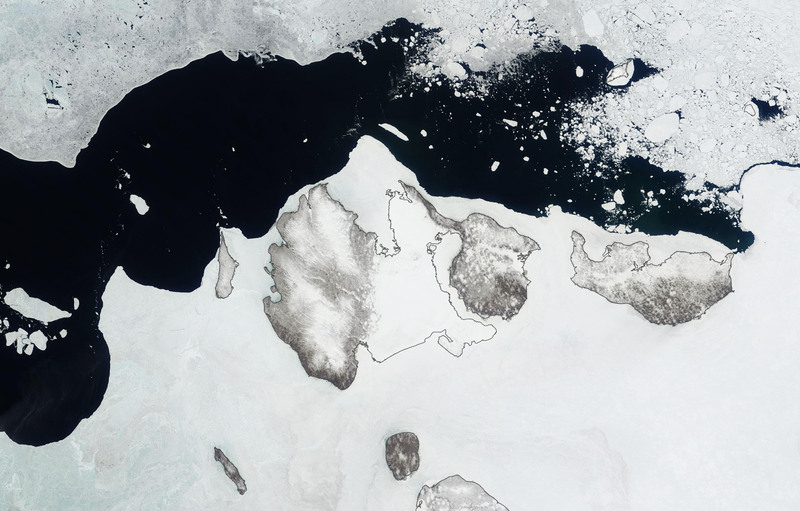 By September, sea ice typically melts to a point that makes human access increasingly viable, especially for the shipping route through the Sannikov Strait to the south. 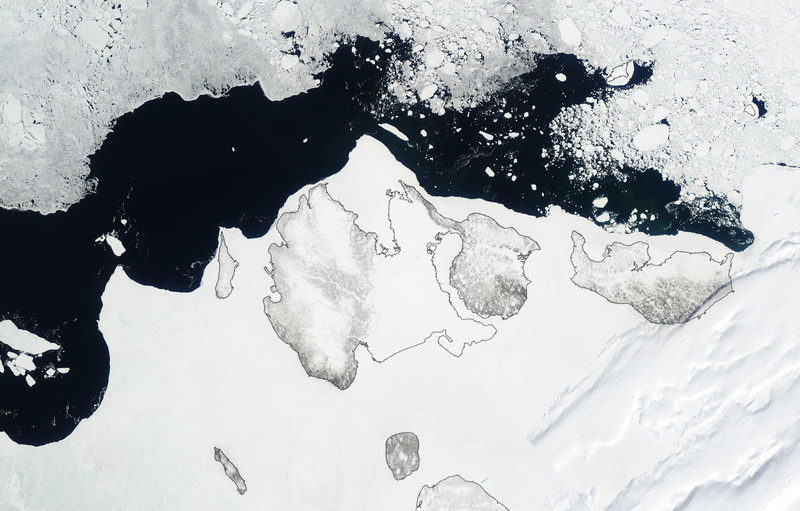 “June is a time of surface melt,” said Gunnar Spreen of University of Bremen. He notes that by this time, much of the snow has melted away and reveals the blue ice below. Just a few weeks earlier, these images (above) would have been almost entirely white with snow cover. 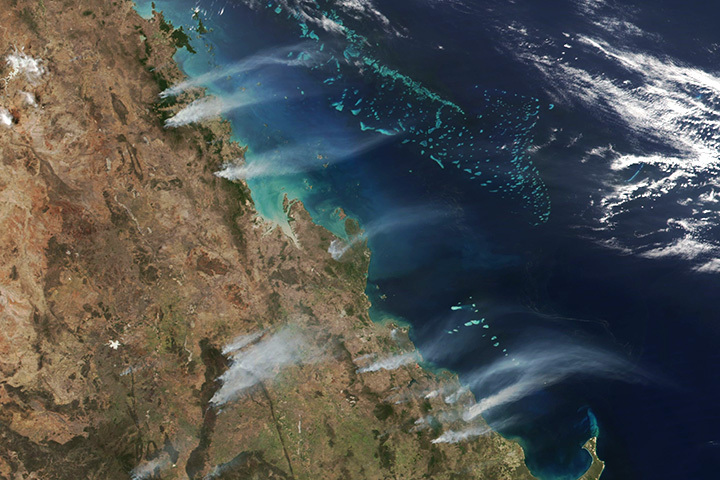 The transition is visible in the animation above, composed from images acquired with the Moderate Resolution Imaging Spectroradiometer (MODIS) on NASA’s Terra and Aqua satellites. It shows the icescape around the New Siberian Islands during the five cloud-free days in June 2018 as surfaces transform from snow-covered (white) to bare land (brown) and melting sea ice (blue). NASA Earth Observatory images by Lauren Dauphin, using Landsat data from the U.S. Geological Survey and MODIS data from NASA EOSDIS/LANCE and GIBS/Worldview. Story by Kathryn Hansen. 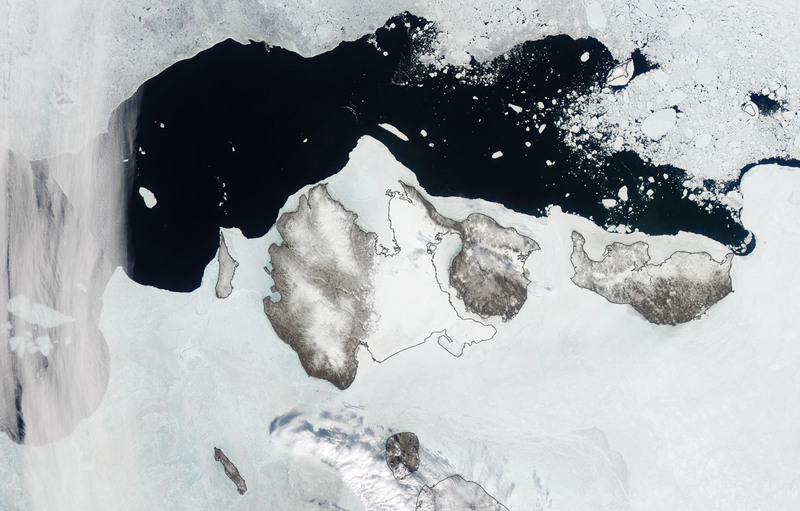 June is a time of transition around the New Siberian Islands as snowmelt uncovers the sea ice and gives way to bare land. The Maritime Executive (2018, September 12) Venta Maersk Escorted Through Sannikov Strait. Accessed November 21, 2018. Melia, N. et al. (2016) Sea ice decline and 21st century trans-Arctic shipping routes. Geophysical Research Letters, 43 (18), 9720-9728. 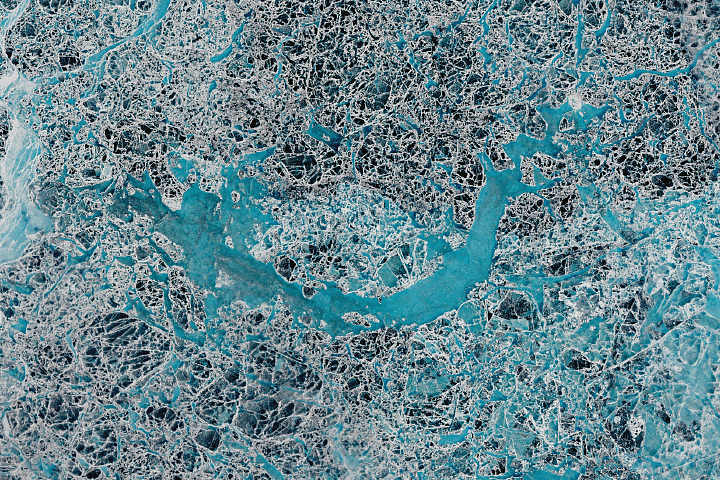 NASA Earth Observatory (2018, November 23) Icy Art in the Sannikov Strait. 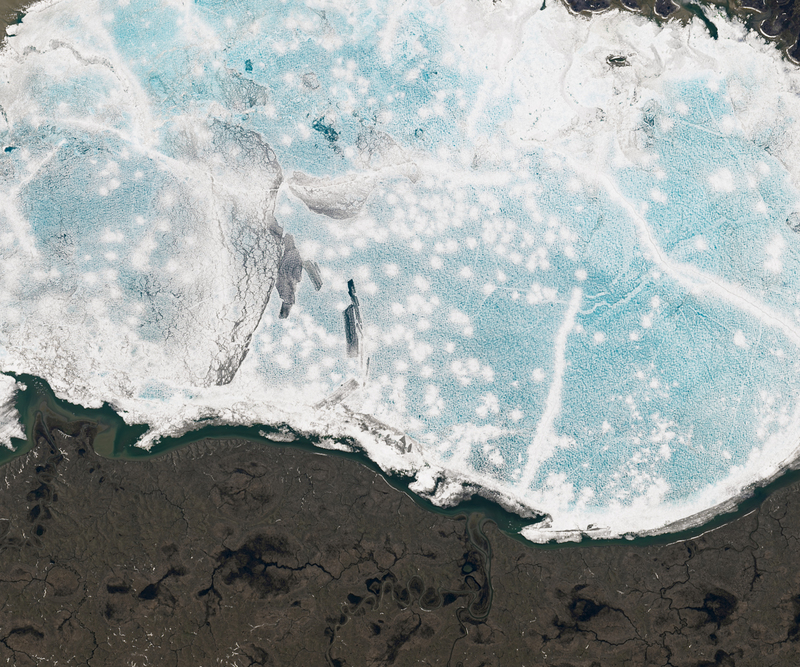 NASA Earth Observatory (2018, April 12) Shipping Responds to Arctic Ice Decline. Tseng, P.-H. and Pilcher, N. (2017) Assessing the shipping in the Northern Sea Route: a qualitative approach. Maritime Business Review, 2 (4), 389-409.